Iron Bridge Lending surpasses a major milestone — over $600,000,000 in total loan origination. 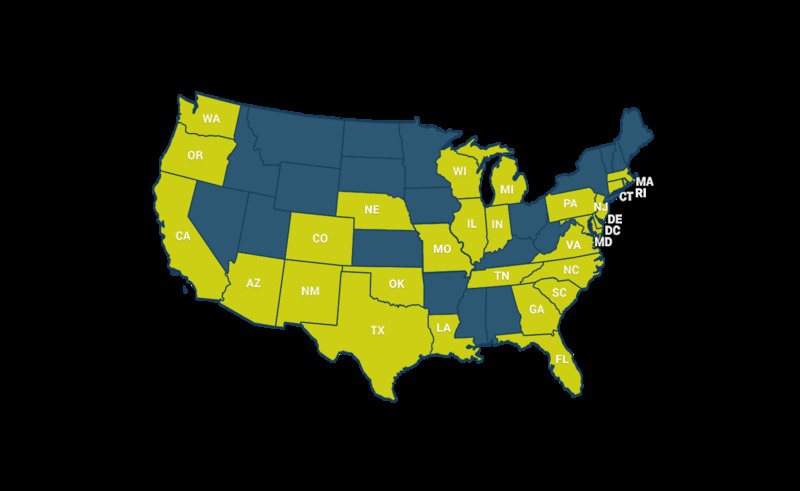 Helping Iron Bridge get there are over 729 fantastic borrowers with 2,283 projects all across the United States. Iron Bridge Lending was established in 2009 and excels at developing innovative real estate financing solutions tailored to the specific needs of each borrower. Our commercial-purpose loans have provided funds for the acquisition and construction of 2,283 single-family or multi-family rehab or new-build projects. Over $98 Million in net profits have been generated for 729 borrowers to date. Iron Bridge has grown from a regional Pacific Northwest private lending firm into a nationwide lending leader. Iron Bridge currently lends in 29 states coast-to-coast and is expanding thoughtfully into other states going forward. 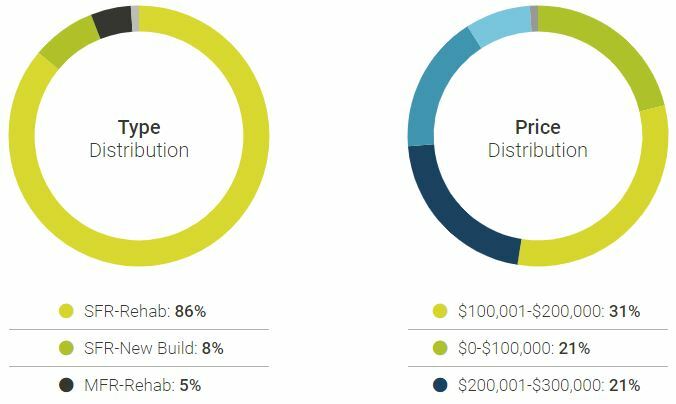 Iron Bridge lends mainly on single-family fix-n-flip projects (86%), while some new construction (8%) and multi-family rehabs (5%) round out the portfolio. Loans typically originate under $1.5M, with the majority of loans in the range of $100k – $500k. Since inception, Iron Bridge Lending has generated $98,341,497 in net profits for our borrowers and completed 2,283 projects as the funding partner. 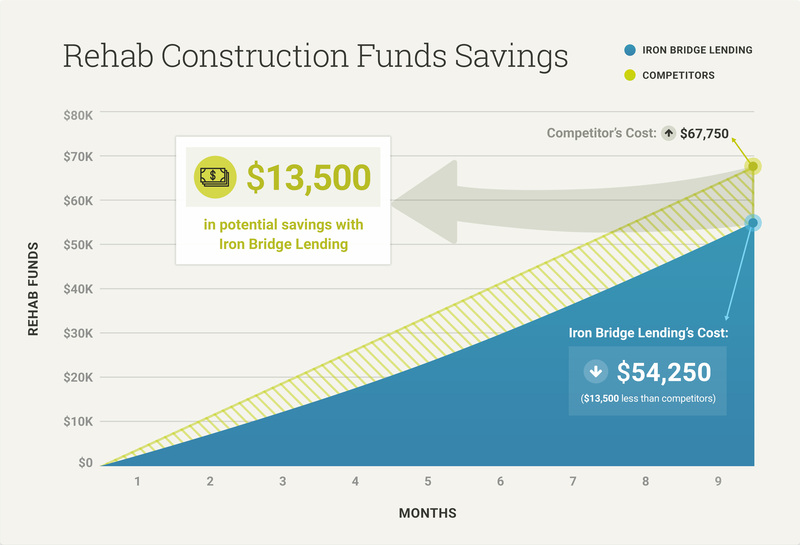 One of the distinct advantages borrowers cite for the company’s success is the unique way that Iron Bridge disperses construction funds. Rather than charge interest on the entire amount of construction funds, Iron Bridge only charges interest on funds as they are drawn. This translates to potentially thousands of dollars in savings on each project. See more details on this program here. The real estate finance industry is in the early stages of a major transformation, driven by technology and new securities laws, that is creating significant value for borrowers, investors, and companies. Iron Bridge continues to be an industry leader and innovator, providing borrowers with lower interest rates and better service, and investors with superior risk-adjusted returns. Our team is passionate about creating value for our clients and building lasting relationships, while effectively managing risk. If you would like to learn more about how to become a borrower with Iron Bridge Lending feel free to email [email protected] or call (503) 225-0300.